The imprisoned spokesman of the Iranian Teachers’ Trade Association, Mahmoud Beheshti Langroudi, was hospitalized on May 8, 2016 after falling seriously ill from a 17-day hunger strike. 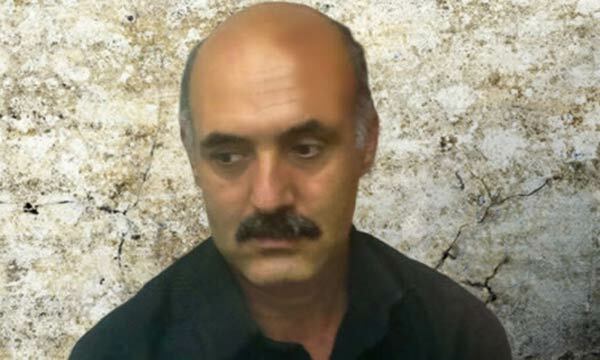 Beheshti Langroudi was sentenced to five years in prison in June 2013 for “colluding against national security” and “propaganda against the state” by Judge Abolqasem Salavati of Branch 15 of the Revolutionary Court. He was also issued a four-year suspended prison sentence. He was transferred to Imam Khomeini Hospital in Tehran due to bleeding in his stomach, his wife, Adineh Beygi, told the International Campaign for Human Rights in Iran. 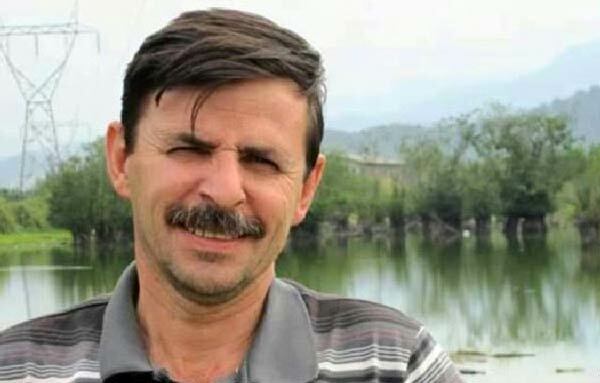 Beheshti Langroudi remains, however, determined to continue his hunger strike until his demands are met, his wife told the Campaign. Beygi added that her husband, a teacher for 25 years, had always acted lawfully, and called on the Judiciary to terminate his sentence and pave the way for a just trial. Beygi also confirmed to the Campaign that former political prisoner Rassoul Bodaghi, the recently released board member of the Iranian Teachers Association, was beaten and arrested on May 8, 2016 by intelligence agents while visiting Beheshti Langroudi in the hospital. Bodaghi, who had been released on parole on April 29, 2016 after serving seven years in prison, was still not freed as of May 9, 2016. On May 9, 2016, Beheshti Langroudi issued an open letter to Judiciary Chief Sadegh Amoli Larijani questioning how a teacher could be considered a threat to national security. “Is it acceptable that in the ‘freest country in the world’ teachers are being condemned to prison and exile for defending the rights of their colleagues? Honestly, what dictatorial country can you point to that treats its teachers in this way? Is imprisoning innocent people in the interests of society, the people or even the state?” he asked. “My words may hurt your feelings, and your underlings could build a new case against me because of this letter. But I have been on hunger strike since April 20 to protest the various and unjust sentences issued against me. I am paying with my life to demand justice. I have nothing left to be afraid of losing,” concluded Beheshti Langroudi. The imprisoned teacher’s rights activists Esmail Abdi and Jafar Azimzadeh, who are also on hunger strikes, are in poor health as well, an informed source told the Campaign. Abdi, the secretary general of the Teachers Association of Iran and Azimzadeh, the president of the Free Workers Union of Iran, have been on hunger strike in Evin Prison since April 29, 2016. Abdi became so weak that he had to be transferred to the prison infirmary. In the statement announcing his hunger strike, Beheshti Langroudi said he would continue to protest “until my sentence is terminated and a public trial is held based on Article 168 of the Constitution,” (which states “Political and press offenses will be tried openly and in the presence of a jury, in courts of justice”). “If anything bad happens to me during or after the hunger strike, the responsibility will lie with those who are silent or indifferent towards my demand for justice,” he wrote. In a joint statement published on Labor Day (May 1, 2016), Abdi and Azimzadeh restated that their trade union activities had no motive other than to better the lives of their colleagues. “We are locked up in Evin prison with long prison sentences based on the accusation that we ‘assembled and colluded against national security.’ We and thousands of workers and teachers have done nothing more than defend our human dignity and the dignity of all workers. All of our activities are clear... and being witnessed by the world,” wrote the imprisoned teacher’s rights activists. Arrested on June 27, 2015, Esmail Abdi was sentenced to six years in prison for “assembly and collusion against national security” and “disrupting public order” by Branch 15 of the Revolutionary Court on February 23, 2016. 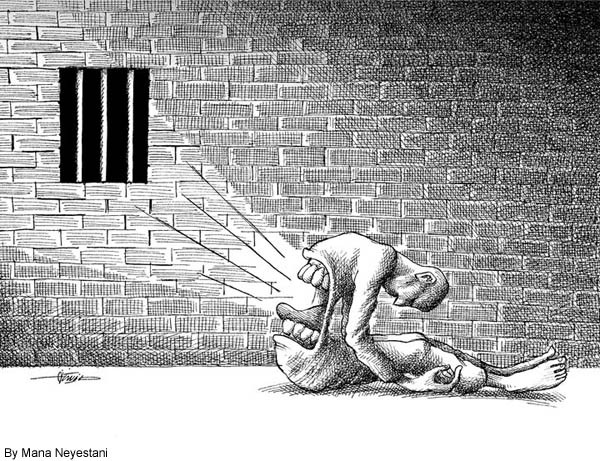 Azimzadeh was also sentenced to six years in prison for “assembly and collusion against national security” and banned from obtaining membership in political parties or conducting media activities, including on the Internet. Teachers have engaged in numerous peaceful gatherings, protests, and strikes over the past several years, to call attention to the imprisonment of their labor leaders and salaries that are below the official poverty level in Iran. Independent unions are not permitted to function in the Islamic Republic, and labor leaders face swift prosecution and long prison sentences.